Visitors to this year’s TFWA World Exhibition & Conference in Cannes are invited to join The Spirits Business and the drinks business to celebrate the winners of The Travel Retail Masters and The Vodka Masters at a beach party. Taking place on Monday 1 October at The Carlton Beach Restaurant from 6.30pm-8.30pm, the annual event will reveal the medallists in The Vodka Masters and The Travel Retail Masters blind tasting competitions. Canapés will be served to guests, along with spirits, wines, Champagne and cocktails from the event’s sponsors. This year’s sponsors include Tequila Corralejo, El Ron Prohibido, De Kuyper, Imperial Collection Gold Vodka, and Champagne Pannier. The 2018 event will also see the first Travel Retail Personality Award presented, sponsored by Italian Signature Wines Academy (ISWA). The ISWA is an alliance between eight Italian producers including: Allegrini (Veneto), Arnaldo Caprai (Umbria), Feudi San Gregorio (Campania), Fontanafredda (Piedmont), Frescobaldi (Tuscany), Masciarelli (Abruzzo), Planeta (Sicily) and Villa Sandi (Veneto). 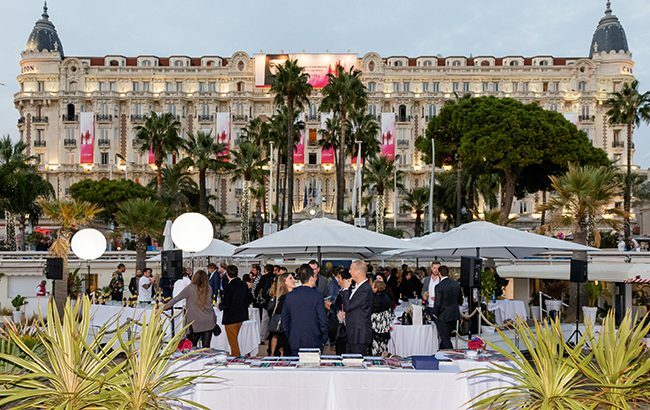 “Our annual Beach Party in Cannes is the perfect opportunity to mingle with industry friends, make new acquaintances and celebrate the fantastic achievements of our peers,” said Amy Hopkins, editor of The Spirits Business. For more information about The Spirits Business’s Beach Party and to RSVP, please contact Núria Puertos Ahuir – nuria@thespiritsbusiness.com.